What happens when you take seven voices gifted from the gods above, place them in a room with no music and tell them to create? The answer is a union that is truly outer worldly and on a whole new level of vocally gifted. The answer is simply Naturally 7. Exploring the early beginnings of this enigmatic group of seven friends and brothers from NYC who in 1999, decided to take a leap of faith using their uniquely gifted vocal chords and create a group based purely on using their voices as instruments. Founded by brothers Roger and Warren Thomas, the pair soon become seven when Rod Eldrige, Ricky Cort, Dwight Stewart, Garfield Buckley and Kelvin Mitchell created a group that would go on to become of the most respected and intriguing vocal play unions in the music industry to date. Merging the idea of an accapella group and a traditional band into one proved to be an unconventional idea at the time that has indeed paid itself forward in catapulting this humble group into global superstardom at a rapid rate. With a discography that runs three albums deep, namely “Non-Fiction”, What It Is, Wall of Sound and Vocal Play to name a few, it has been their star studded collaboratons that has shone a light on the groups appeal and diversity. Amassing a 20 million plus following on You Tube alone, their collaboration with the legendary Quincy Jones on his album Soul Bossa Nostra in 2010, alongside hip hop heavyweight Ludacris that proved to be the one of the groups greatest musical ventures to date, getting a stamp of approval from Jones is the equivalent to a knighthood from the Queen in music terms, and the collaboration proved to be immensely successful for Naturally 7. From consistent studio work, collaborations, features and touring, this vocal group are also intrinsically aware of the social causes their voices can adhere to and partnering up with one of the world’s most respected humanitarian aid foundations ‘ World Vision” for a few years running, is a chance for this hardworking outfit to give back to society. 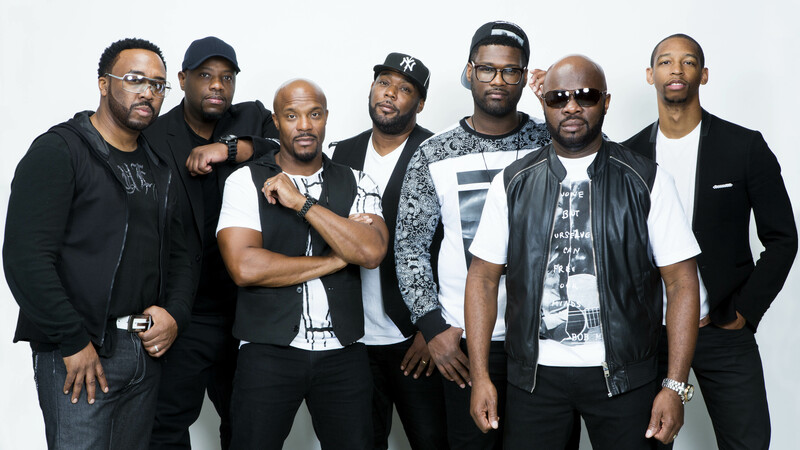 As they embark on a return tour of Australia with World Vision ( they first visited in 2014), Naturally 7 are set to light souls ablaze with a live show that is guaranteed to inspire, enhance and motivate the crowd like never before. Speaking to Rod Eldrige about their impending trip back Down Under, he shares his thoughts on the importance of Naturally 7’s existence in today’s music climate, why they love doing what they do and what’s next on the horizon for this undeniably talented vocal crew, blessed beyond words to use their voices as vessels of positivity. Hi Rod, so great to speak with you…… how is life treating you all? I am really well thank you Maxine, life is good, busy and blessed so I cannot complain. 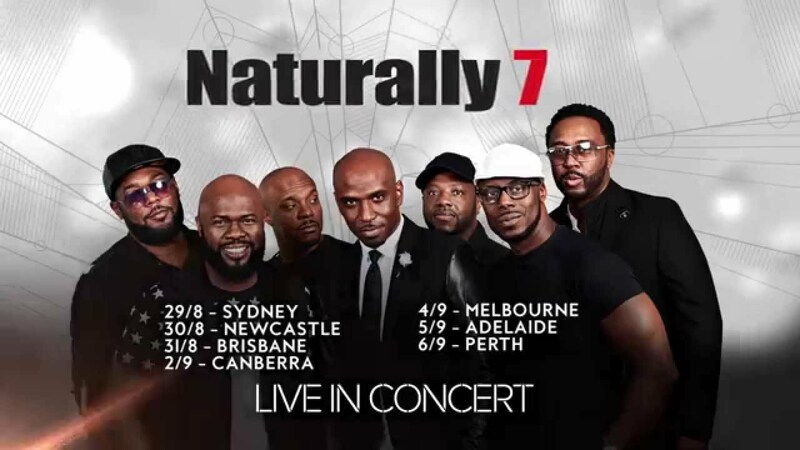 So we get to experience Naturally 7 in Australia again in a few weeks and we are excited to say the least. For those who don’t know much about your group how would you best describe who Naturally 7 are and the music you create? We are as well. Australia is one of our favourite places to visit so we can’t wait to return. 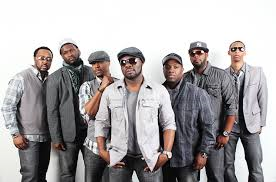 I think the best way to describe who Naturally 7 would be simply 7 guys based out of NYC and we do what we call Vocal Play, which falls under ‘accapella umbrella’. We become the instrument of music and basically use our voices to create the sound and movement and beat that normal instruments would generally do. To be able to create sound just using your voices is truly a gift from the gods and one that you all do so effortlessly – I first discovered you on the Quincy Jones and Ludacris track “Soul Bossa Nostra “that just blew my mind, but Naturally 7 have been doing their thing for some time now, amassing quite a fan base and following on YouTube nearing the 20+ million. Staggering amount – how does that feel when you hear how many people globally you reach through your amazing music? Wow whenever I hear how many people we reach through our music I am always amazed, especially considering how humble our journey started off as. Starting back in 1999 as a group of friends who loved harmonisation, we just decided to get together one day and see if we could make our voices the main instruments in our delivery and I think from there, once we realised we had something special, the crowd and audience feedback was what really solidified that for us. We cannot thank our fans and the people who support us and what we do enough, it is truly humbling. We were just talking about this the other day you know thinking wow so many millions of people hear our music across the world …. It was like an aha moment, we have those a lot (laughs). Now you are partnered with World Vision on this tour, which is a truly admirable union. How did this come about and what is it about the organisation that appeals to your humanitarian hearts? It began about five years ago when we started working with World Vision on a small scale, you know a couple of the guys started sponsoring some children and when we would be on stage we would always pay respect to World Vision and shout them out and try to encourage our audience to get involved with World Vison and help out where they can etc. It just pretty much grew from that to where we now travel the world in collaboration with them and the relationship has grown that much tighter since then. For us World Vision have always been an organisation that appeals to good of humanity and knowing and seeing the word they do, Naturally 7 couldn’t be prouder to be partnered with them. Actually before we arrive in Australia we are visiting Cambodia and seeing the work World Vision are doing there so it is always a learning and humbling experience working with an organisation like World Vision. What can Australia expect from a Naturally 7 live show that we would be hard pressed to experience anywhere? Naturally 7 live will definitely be taking things a notch, hopefully more than one notch if we can (laughs). It is definitely an experience and it is something that we truly pride ourselves on doing is putting together a live show leaves our audience with more than they expected. We like to surprise people as we are exploring parts of the voice that many people may not even know exist and you know just a great selection of songs that will make people want to get out of their seats and dance, or cry or sing along . Whatever emotion the crowd is feeling, Naturally 7 want it to be the best live show you have experienced. It is a great family night out that will guarantee fun and wear comfortable shoes as you will be out of your seat (laughs). 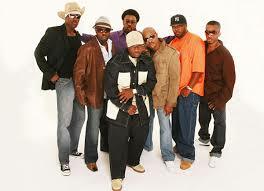 Who or what in life would you say are influential in the creative sound and ethos of Naturally 7? Mmmm good questions. There have been a lot of influences that have come to play with us but I would say musical influences have definitely come from the home for the majority of the guys, the music our parents played really helped to shape us I believe. Most of our parents were singers and musicians that we would grow up watching and they have been key in the influence of how Naturally 7 have been formed. Apart from the new album “Hidden in Plain Sight” out now on ITunes, what else are you currently working on music wise and any future music collaborations we can look out for? Currently we have just released a single of John Farnham’s “ You’re the Voice” which I am sure the Australian fans will enjoy so that is out now along with a music video, so we will be hoping to have an arrangement to share with you on stage when we get to Australia…. Hopefully you guys will like it. What would you say is the biggest motivator behind Naturally 7 and your organic ability to reach so many with your beautiful voices? I think, right now, there seems to be a bit of a void of good music being made and played at the moment, like an empty pocket somehow, of music that really makes you feel something…. There really is not much out there. So that really is a driving force for us you know, to really create and present something positive and meaningful with our art and music for people who not only enjoy our kind of sound but want it and can uplift their spirits and make them feel better about themselves.